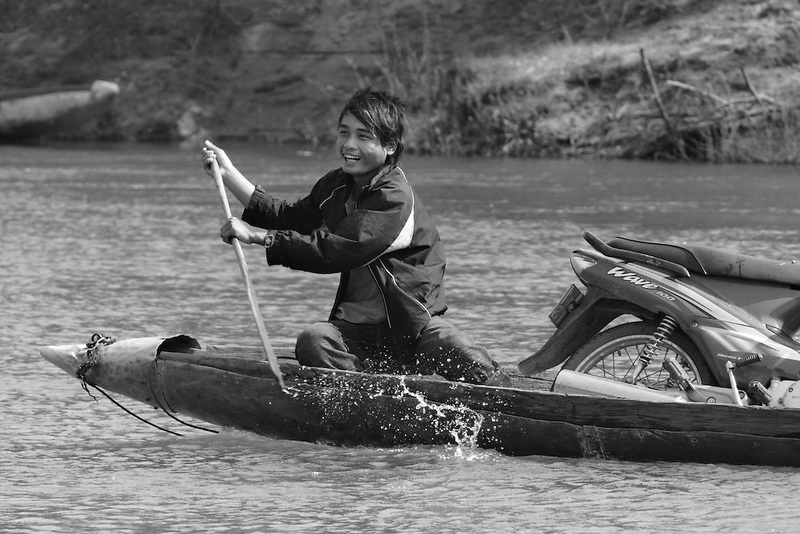 A young man pilots a "bomb boat" across the Senphen tributary of the Bangphai River, outside the "bomb village" of Ban Senphen. The village is located in the Ban Phanhop valley, one of the "chokes", or narrow corridors along the Ho Chi Minh Trail in Laos that were heavily bombed by American forces during the Vietnam War. Villagers say the boat, made of aluminum, was likely a fuel cannister from a War-era American plane.